Searching for hardwood floor refinishing in North Charleston, SC that lasts? With Fabulous Floors, you don’t need to look any further! When it comes to wood flooring, the last thing you want to hear is something “sticking”. That’s not true when it comes to your wood floor’s quality and shine, though! We offer several years of experience, combined with a process that is hassle-free and long-lasting. You’ll love the new look of your refinished floors and the beauty they add to your home. We truly believe that we aren’t in the North Charleston wood floor refinishing business, we’re in the people business. We’ll do whatever we can to make sure you get the specific wood floor look you want. We’ll work with you, and combine our expertise to create a result that you’ll love! Rather than taking weeks (or months, in some cases), our process typically takes just a couple of days! The best part, though? We are Greenguard Certified! This means that all of the ingredients we use are completely safe for you, everyone in your family, and the environment as well. Don’t stare at your floor anymore. Take advantage of our North Charleston wood floor refinishing service today by contacting us! 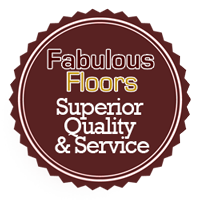 Contact us today to see why Fabulous Floors Charleston is the smart choice for your hardwood floor renewal needs in North Charleston!